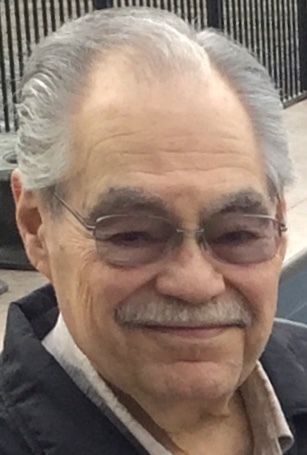 Obituary for Dr. John F. Galish | Brewer Funeral Home, Inc.
Dr. John F. Galish, 78, of Fenway Circle, passed away peacefully and with a huge heart, Monday morning, February 4, 2019 at Saratoga Hospital. Born on April 7, 1940 in the Bronx, he was the son of the late John G. and Frances (Parko) Galish. John married Angela Nocella on April 8, 1961 at Immaculate Conception Church in the South Bronx. John began his career teaching music in five Catholic schools in NYC, then on Long Island, N.Y. in West Babylon and in Huntington. He relocated his young family to Halifax, Nova Scotia, Canada, where he was a Professor of music at Dalhousie University and where he played clarinet with the Atlantic Symphony Orchestra. He returned to upstate N.Y. where he built an amazing, award-winning music program at Oppenheim-Ephratah Central School. He began his studies in school administration and received his doctorate in education (Ed.D) from Nova University. Dr. Galish first became an Assistant Principal in Whitesboro, NY before his long career as a Superintendent of Schools in St. Johnsville, Hadley-Luzerne, and Fallsburg, NY, then worked for the Bergenfield, NJ, school district for 14 years. John and Angela have enjoyed retirement in Lake Luzerne. John was passionate about education and music. He mastered many instruments, but his favorites were clarinet and saxophone. Dr. Galish’s “hobby” was teaching 7 NY German Singing Societies, for a total of 33 years, leading great people in statewide choral competitions. John spoke several languages and enjoyed traveling the world with his love, Angela. John was predeceased by his parents and brother, Ronald Galish. Survivors include his loving wife of 57 years, Angela Nocella Galish; two daughters: Dr. Diana (Clifford) Galish-Frasier of West Glenville and Laurie Galish of Schenectady. Friends may call Friday from 1-3 p.m. at Brewer Funeral Home, Inc., 24 Church St., Lake Luzenre. Funeral services will immediately follow the visitation, Friday at 3 p.m. at the funeral home. Spring burial will be in Holy Infancy Cemetery, Lake Luzerne. In lieu of flowers, contributions in John’s memory may be directed to a charity of one’s choice.